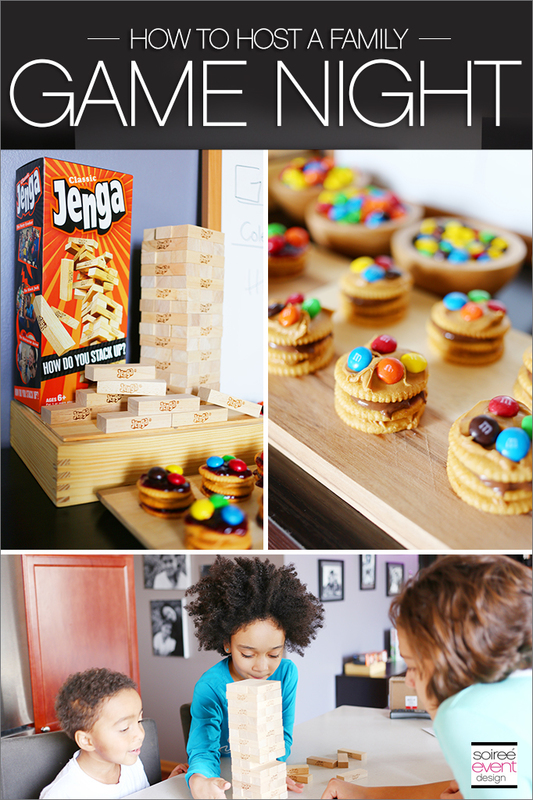 Host a Family Game Night In Party with Yummy Snacks! Hey party peeps! Spring Break is coming and if you’re like me, and NOT going on a vacation for Spring Break, then you want some fun ideas on what to do with your kids while they’re off from school. When I was younger, I used to love to play board games. Kids these days, including my own, are glued to their electronic devices and don’t really play board games anymore! So sad, since I have such wonderful memories of playing board games with my family and friends. I decided, that must change. 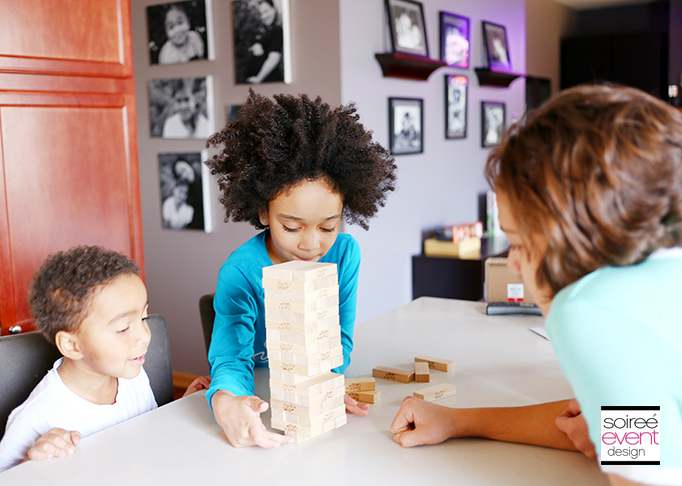 And what better chance to spend quality time with the whole family then to HOST A FAMILY GAME NIGHT IN PARTY WITH YUMMY SNACKS during Spring Break. My kids loved it so much that we’ve turned it into a monthly tradition. 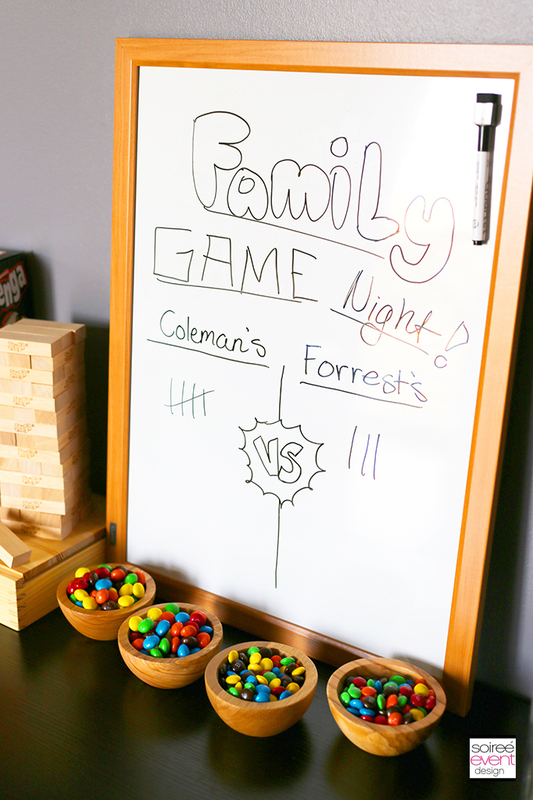 Get everyone in on the fun and invite another family over and make it a family vs. family game night! GET READY FOR A GAME NIGHT IN PARTY! I headed off to Walmart to find a few games that we would all enjoy. 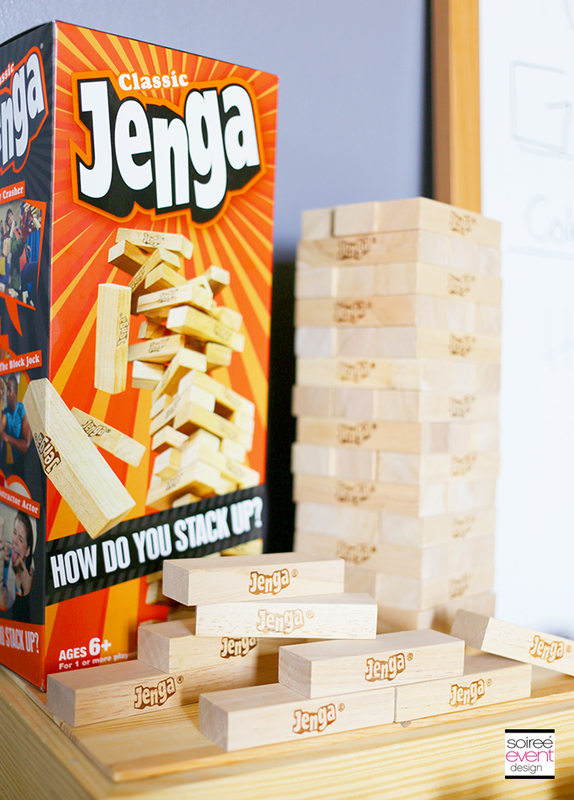 The Jenga game was one of my favorite games to play when I was younger and knew that my kids would have fun with it too. My son LOVES to build towers and knock them down! I picked that one up and also the Twister game…I mean, who doesn’t love a fun Twister game, right! While there I decided to make some yummy snacks to serve during the party. 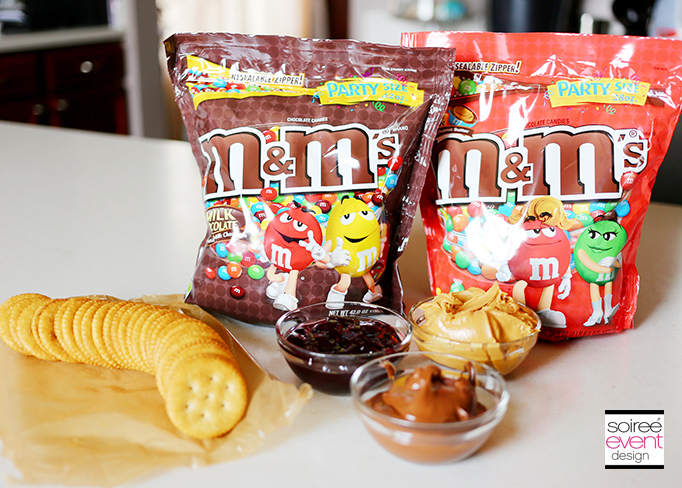 I love M&M’s® so I came up with a cool M&M’s® Cracker Snackers recipe that we’ll wash down with M&M’s® Shake Shooters. 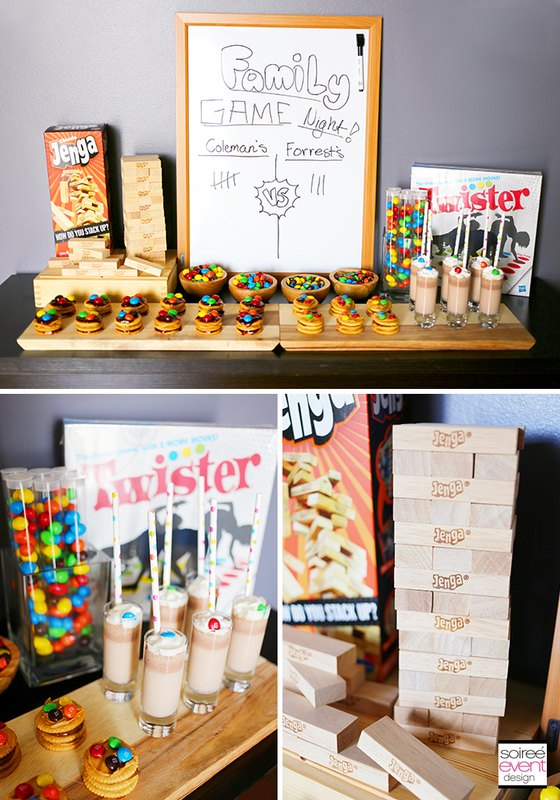 SET THE SCENE FOR A GAME NIGHT IN PARTY! To decorate for the party, I was inspired by the Jenga game wood pieces and decided to use wood as my main decor element. 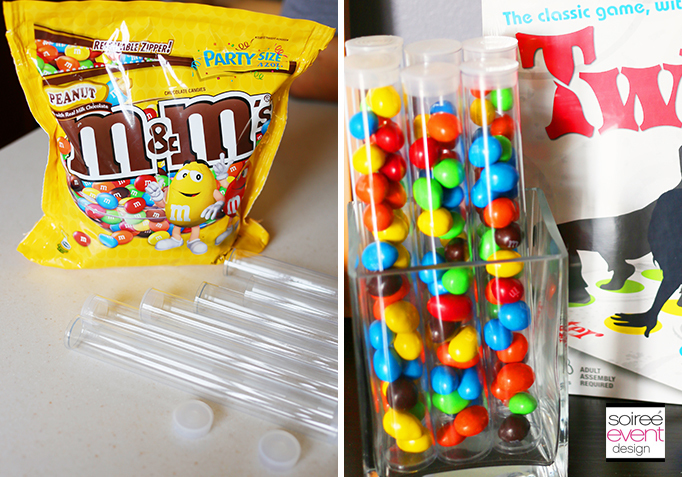 I set up the Family Game Night In party table on my wood sofa table and used a wood framed whiteboard as the centerpiece to keep score and used wood trays to display the yummy M&M’s® Cracker Stackers and wood bowls to hold loose M&M’s® candy. I love how it all worked together. I bought an extra Jenga game set to use as decoration for the table and also served as a take-home favor for my sister’s family at the end of the party. I also displayed on the table the winner’s prize pack which consisted of the Twister game and a few tubes of M&M’s® Peanut. 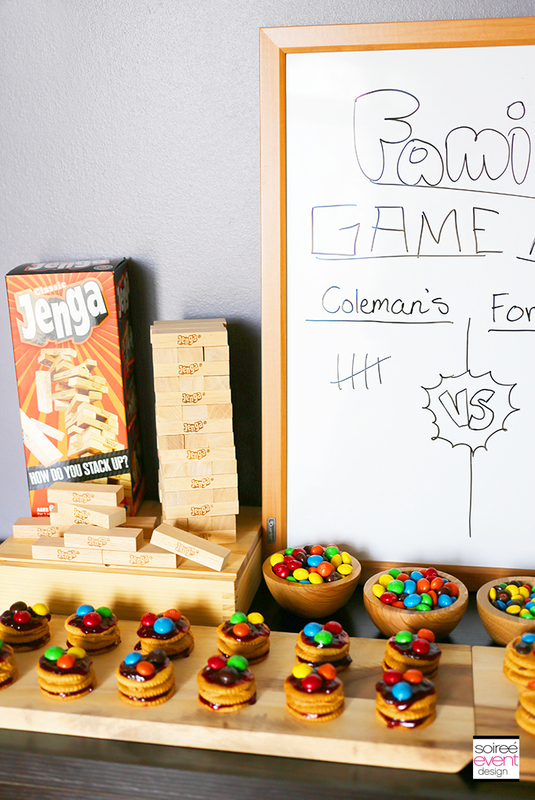 When coming up with a snack idea for a game night, consider the game you’re playing as inspiration for your menu. 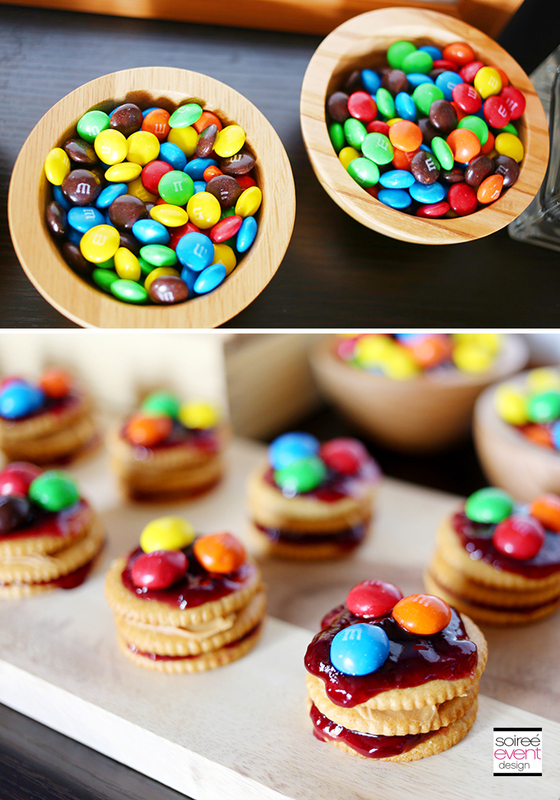 Here I was inspired by the act of stacking the wood Jenga game pieces to create these two M&M’s® Cracker Stacker recipes in 2 flavors—Peanut Butter and Chocolate and PB&J! Everyone LOVED these! The salty and sweet combo was DEEEE-LICIOUS! Want to make some for your next party? 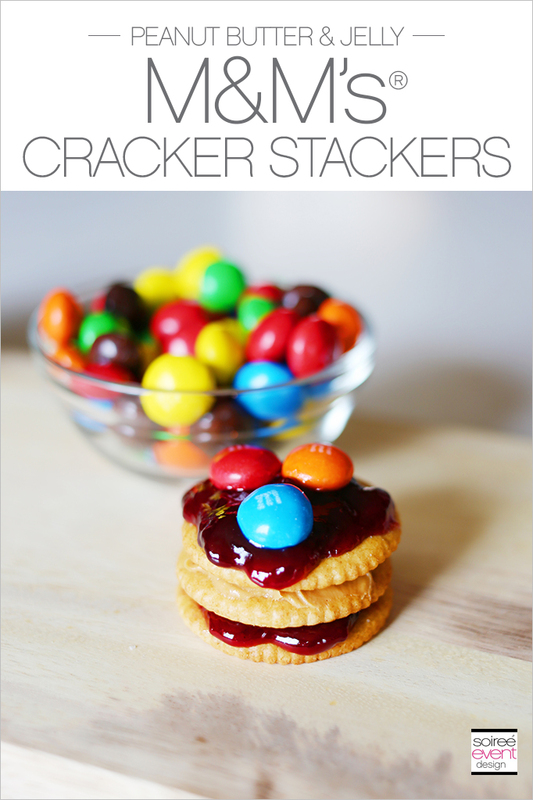 M&M’s® PEANUT BUTTER & JELLY CRACKER STACKERS! STEP 1: Spread a layer of peanut butter on one the top of one cracker. Spread a layer of jam on the top of 2 additional crackers. STEP 2: Make three cracker layers starting with the jam cracker, stack the peanut butter one on top, then top with last jam cracker. 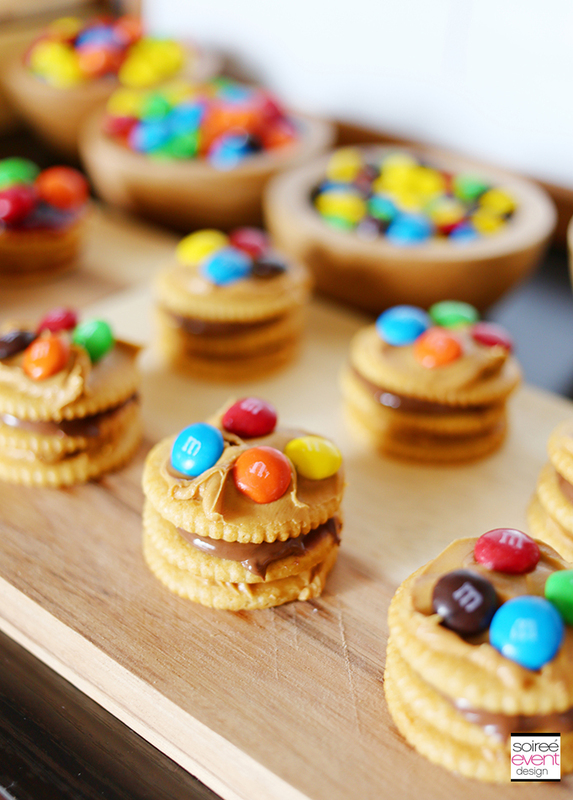 STEP 3: Top each cracker stack with a few M&M’s® Peanut Butter . Continue for as many cracker stackers you want to make. 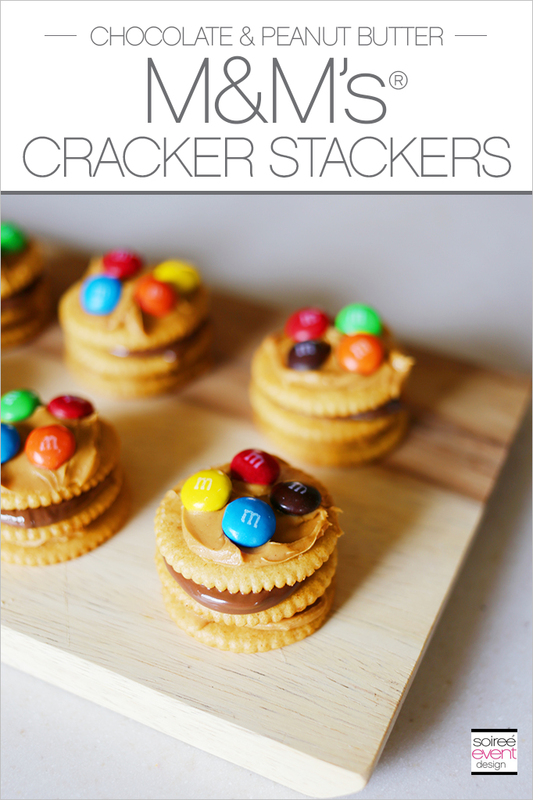 M&M’s® CHOCOLATE & PEANUT BUTTER CRACKER STACKERS! STEP 1: Spread a layer of chocolate hazelnut spread on one the top of one cracker. Spread a layer of peanut butter on the top of 2 additional crackers. STEP 2: Make three cracker layers starting with the peanut butter cracker, stack the chocolate hazelnut spread cracker one on top, then top with last peanut butter cracker. STEP 3: Top each cracker stack with a few M&M’s® Milk Chocolate . Continue for as many cracker stackers you want to make. 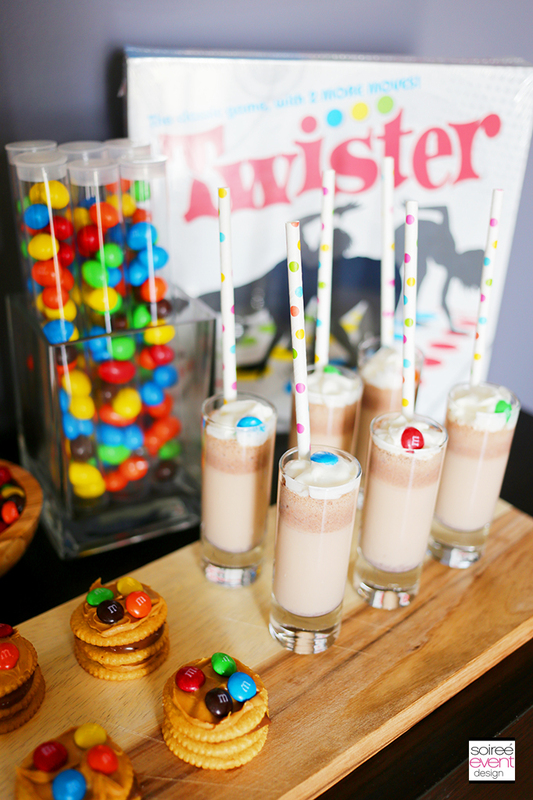 I love to serve mini milkshakes at parties, so I made M&M’s® Shake Shooters by blending M&M’s® Milk Chocolate with vanilla ice cream and serving them in mini glasses topped with whipped cream and M&M’s® candy. YUMMY! 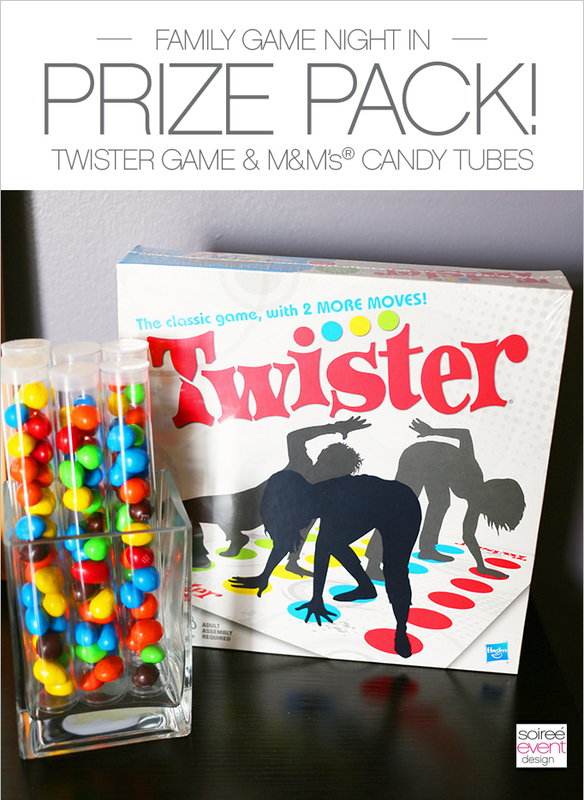 INSPIRED TO HOST YOUR OWN FAMILY GAME NIGHT IN PARTY? WHAT IS YOUR FAVORITE BOARD GAME? 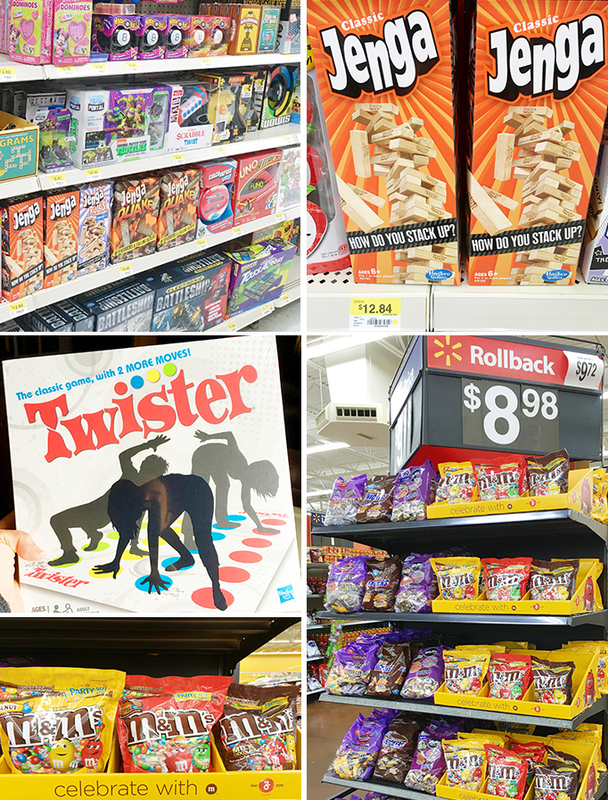 Be sure visit Hasbro’s Family Game Night In for lots of ideas and pick up all you’ll need to host your party at Walmart. What a great idea. Games and snacks…sounds like a fun time for everyone…and families can connect and spend quality time together. Family game night is always fun but you just took it to a whole new level with those snacks. 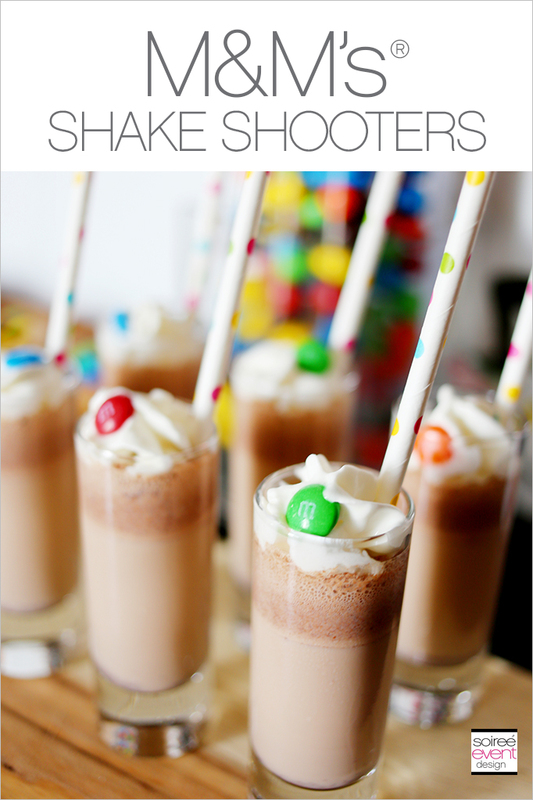 I especially love those M&M shake shooters! Family game night is my favorite! Your snacks look so good! Those are some fun games! We love Jenga! I want to invite the neighbors over for game night right now! I love the idea of a white board to keep family scores! 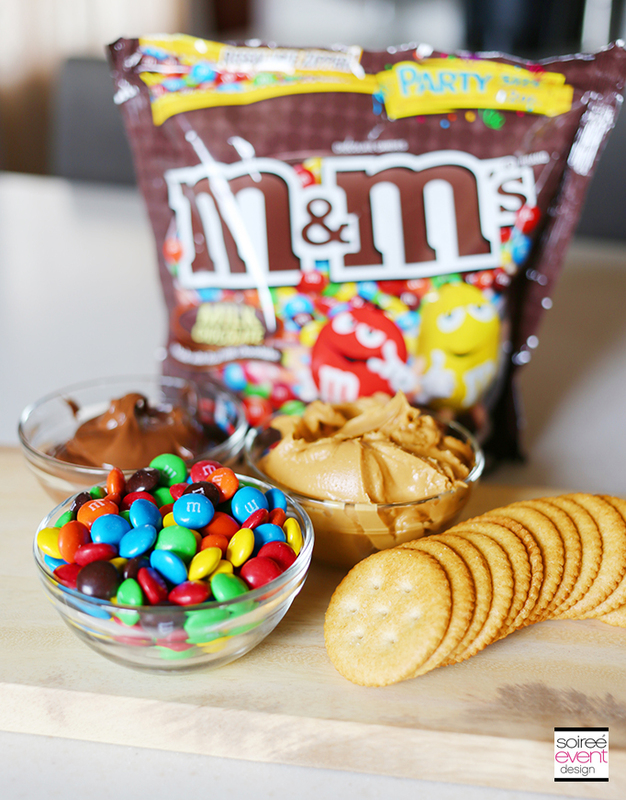 Anytime you can incorporate M&M’s into a treat, it’s a win with me. Love the stackers! Oh the cracker and M & M snack looks really tasty! Sweet and salty go great together!